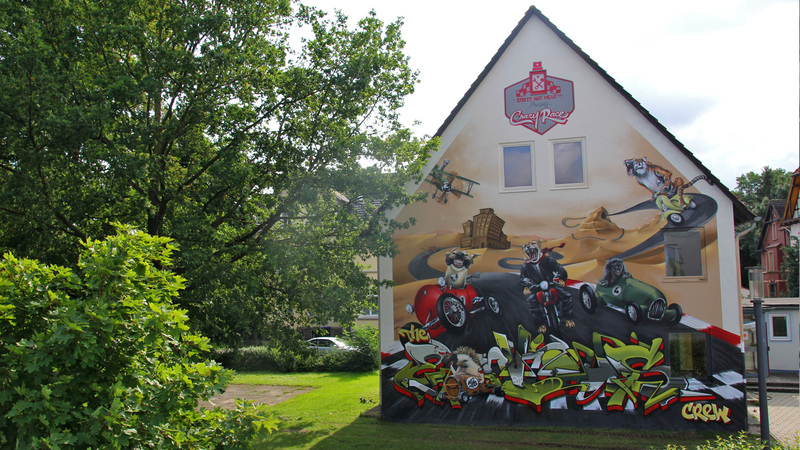 A great street art festival in the small town of Einbeck in northern Germany gave us the possibility to paint a huge wall. 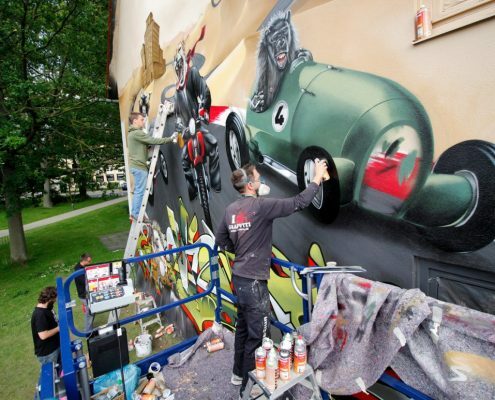 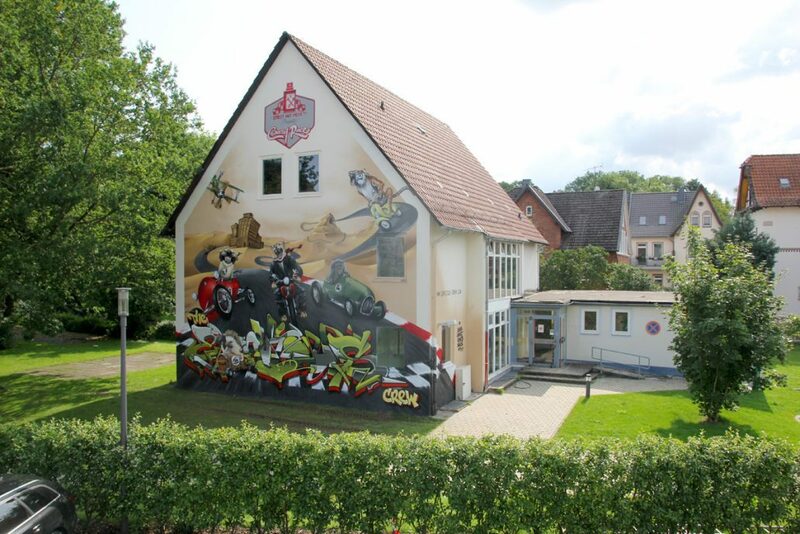 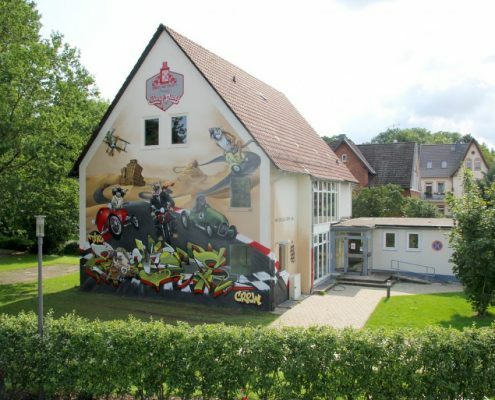 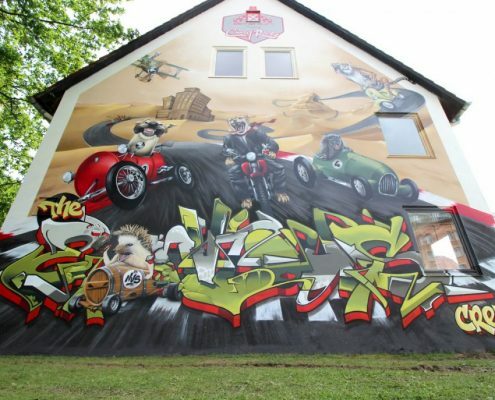 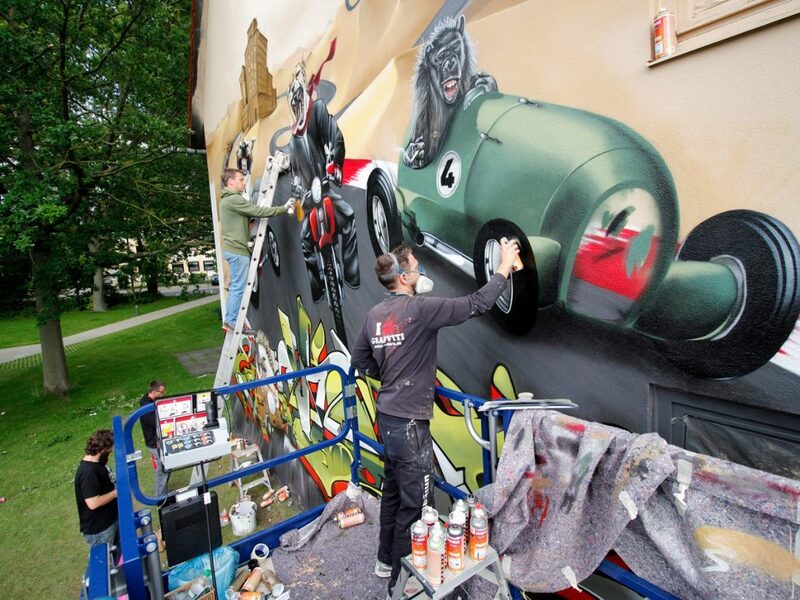 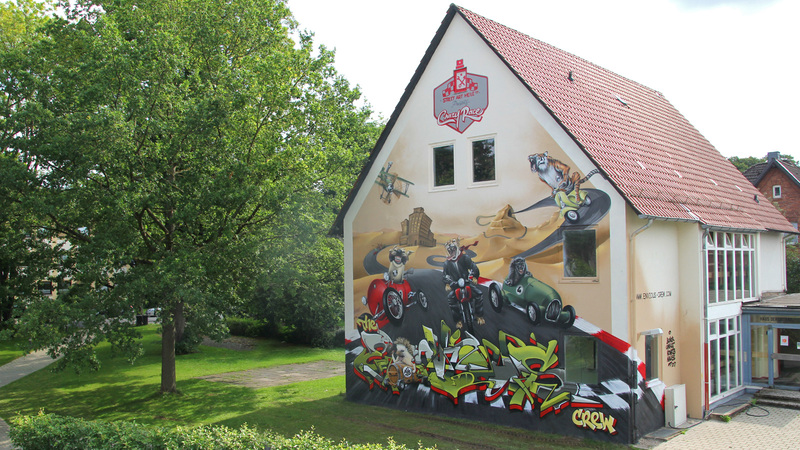 The mural faces a museum for historical motorcycles and cars. 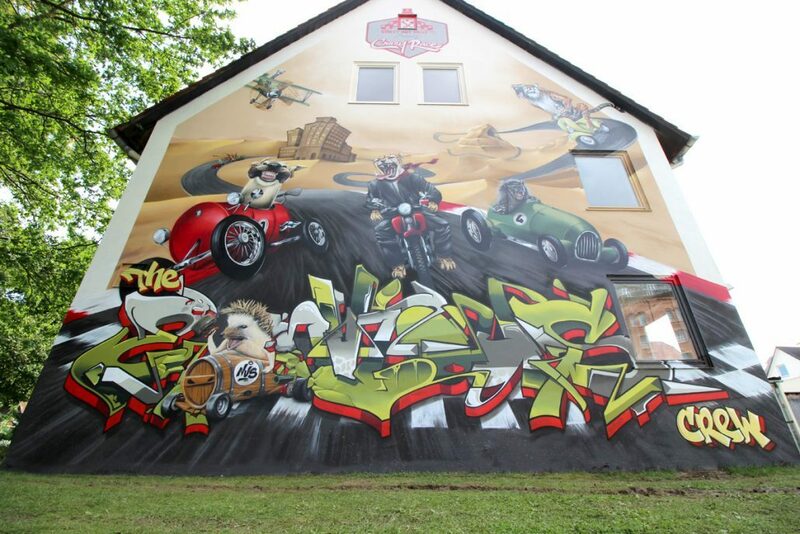 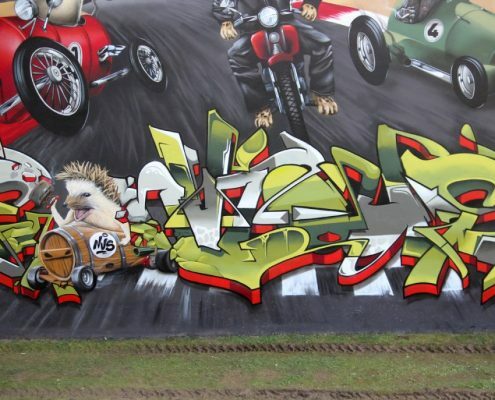 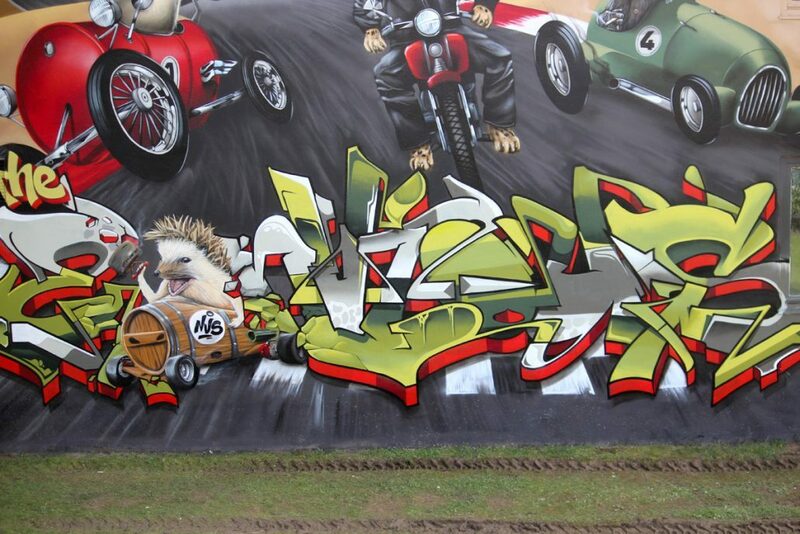 That gave us the main inspiration for this funny wall BeNeR, unikat-colors, KOarts and Naus painted in three days.